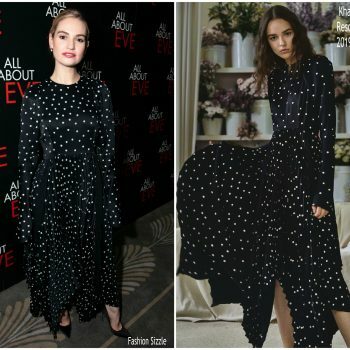 Lily James attended the ‘All About Eve’ press night after party on Tuesday (February 12) in London, England. She wore a Khaite Resort 2019 dress styled with Jimmy Choo ‘Romy’ pumps. Lily Collins attended the Art Of Elysium Gala on Saturday (January 5). 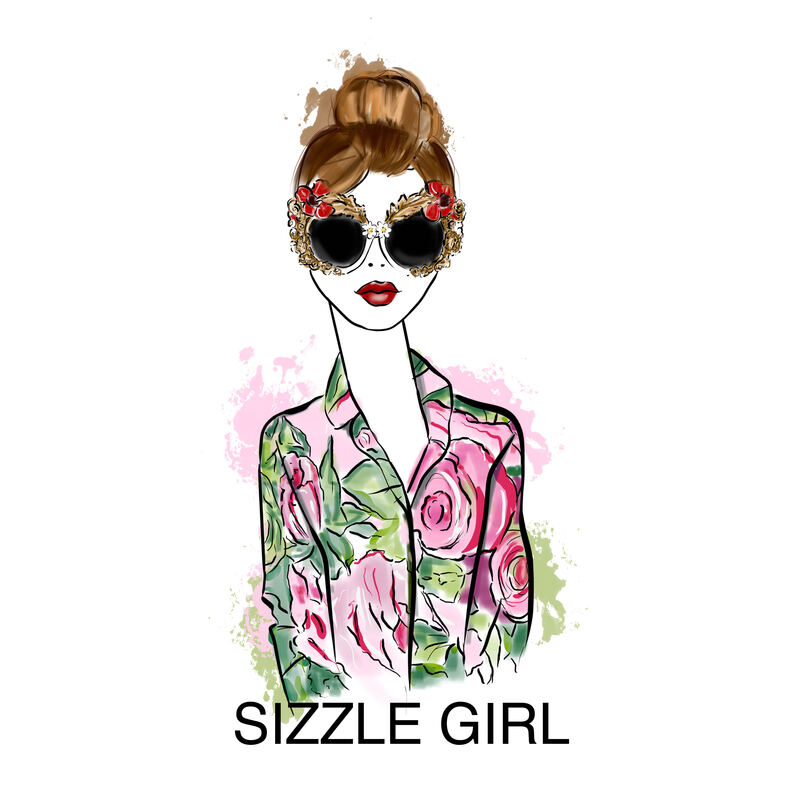 She wore a floral Elie Saab Spring 2019 design. Lily James was in attendance at the press conference for Bvlgari’s Fiorever jewelry collection on Tuesday (December 11) in Beijing, China. 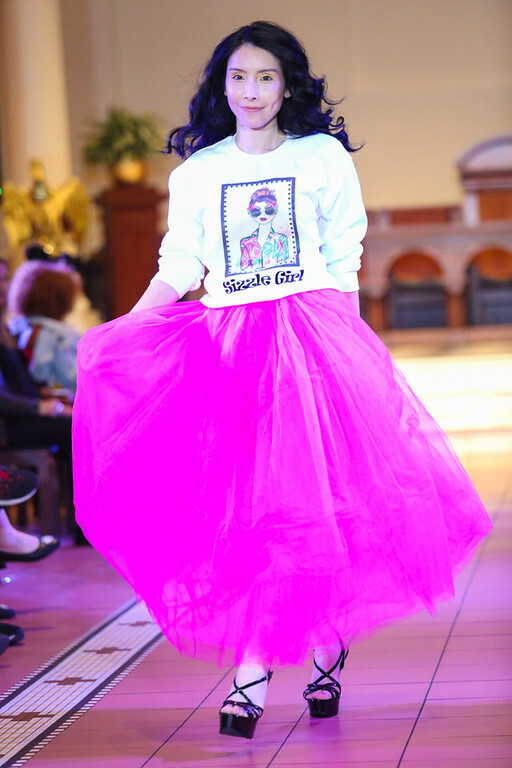 She wore a Galvan ‘Vera’ sequined dress. Lily James attends as Naomi Campbell and Matt Smith celebrate 'Close Your Eyes And Think Of Christmas' in New York on November 19, 2018 in New York City. She wore a Burberry design. 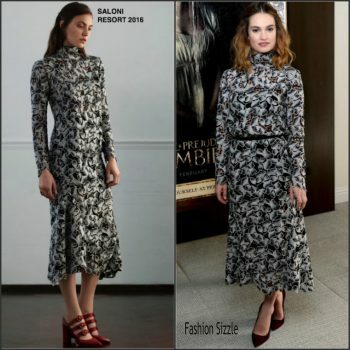 Lily James wore an Emilia Wickstead Resort 2019 printed dress for the Mamma Mia Here We Go Again press conference in Stockholm, Sweden last week. 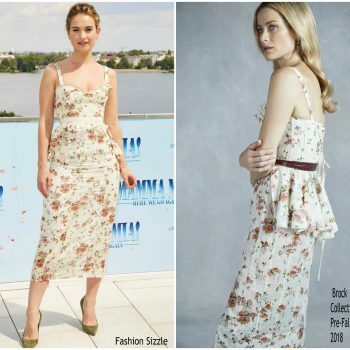 Lily James In 3.1Phillip Lim @ Promoting Mamma Mia Here We Go Again in Stockholm, Sweden last week. 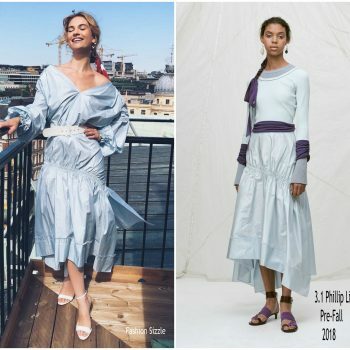 Lily James wore a 3 .1 Phillip Lim Pre-Fall 2018 taffeta blue top and skirt while promoting Mamma Mia Here We Go Again in Stockholm, Sweden last week. Lily James wore a Hellessy Resort 2019 light yellow suit to the Mamma Mia Here We Go Again photocall in London, England. Lily James made a guest appearance on the Today show yesterday (July 18). She wore a Hellessy Spring 2018 styled with a pair pink Rupert Sanderson ‘Malory’ pumps. 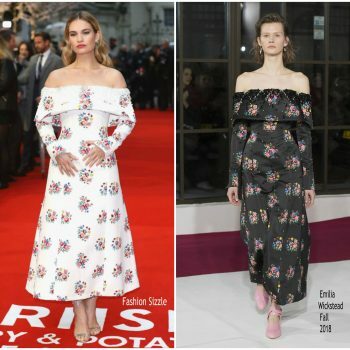 Lily James attends the UK Premiere of 'Mamma Mia! Here We Go Again' at the Eventim Apollo on July 16, 2018 in London, England. 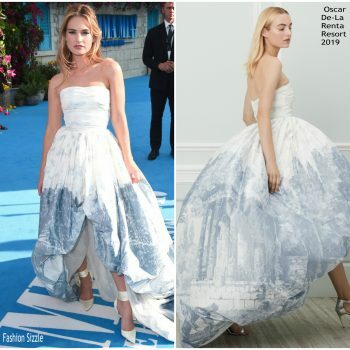 She wore a Oscar de la Renta Resort 2019 gown. 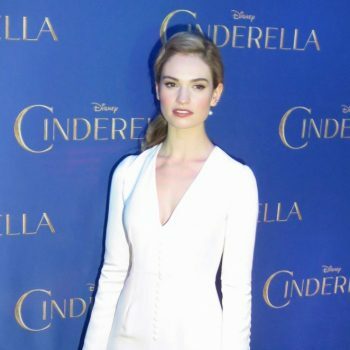 Lily James’ attended the ‘Mamma Mia! Here We Go Again’ was Hamburg, Germany, photocall. 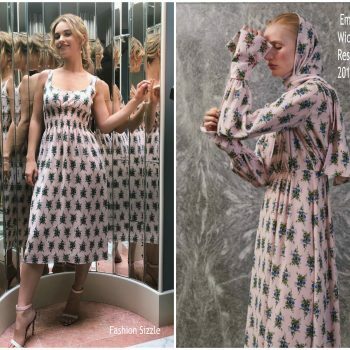 She wore a Brock Collection Pre Fall 2018 dress. 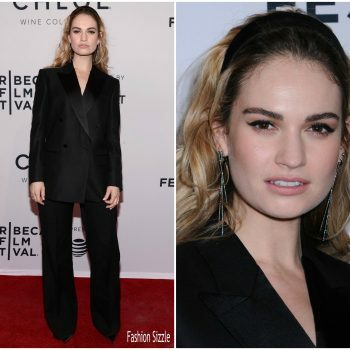 Lily James was in attendance at Tribeca Film Festival at the premiere of ‘Little Woods’ on Saturday (April 21) in New York City. 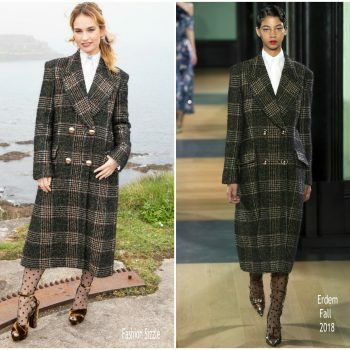 She is wearing a black Burberry Tailoring suit. Lily James attended the premiere of ‘The Guernsey Literary and Potato Peel Pie Society’ this evening (April 13) in the UK. She wore a Valentino Fall 2018 gown styled with a Valentino clutch . 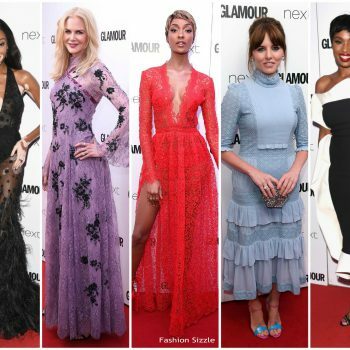 Lily James was in attendance at the Dunhill & GQ Pre-BAFTA Filmmakers Dinner And Party on Thursday (February 15) in London, England. 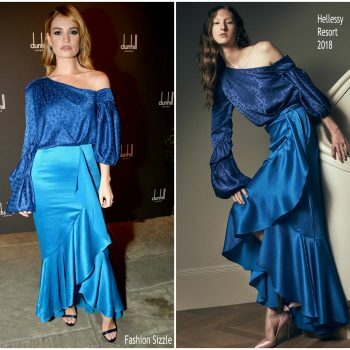 She wore a blue Hellessy Resort 2018 design. Lily James was in attendance at the ‘Darkest hour’ premiere held at the Odeon Leicester Square this evening (December 11) in London. She wore a Burberry gown. Lily James attended the ‘Baby Driver’ premiere earlier today (July 12) in Sydney, Australia. 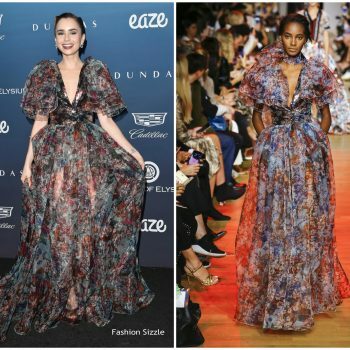 She wore Alessandra Rich Fall 2017 dress. Lily James attended the London premiere of ‘Baby Driver’ this evening (June 21). She wore a blue Burberry gown. 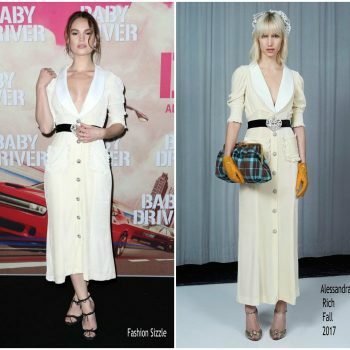 Lily James was in attendance at the ‘Baby Driver’ LA premiere yesterday evening (June 14). She wears an Ulyana Sergeenko Demi-Couture dress. 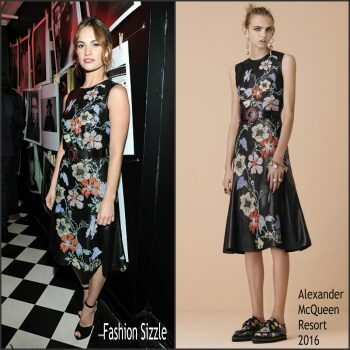 Lily James who is new face of the Burberry 'My Burberry Black' fragrance was in attendance at the launch event on August 22 , 2016 held at Thomas's at Burberry Regent Street Restaurant in London. 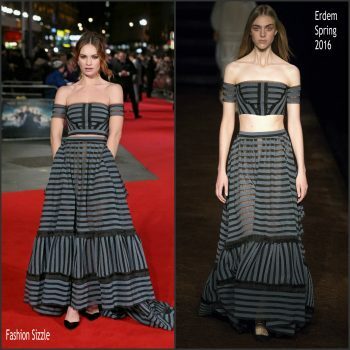 Lily James attended the "Pride and Prejudice and Zombies" Premiere yesterday evening in LA. 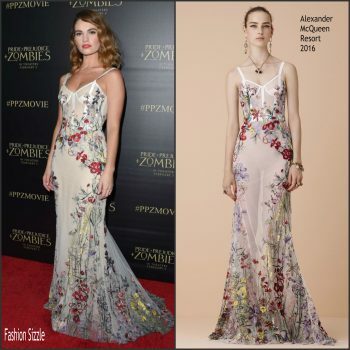 She is wearing a floral Alexander McQueen Resort 2016 sheer embroidered dress. Lily James was in attendance at the 'Pride and Prejudice and Zombies' screening in Coconut Grove, Florida. 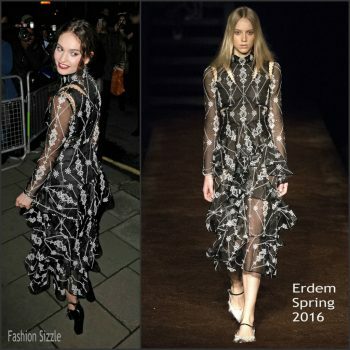 She wore a long sleeve halter floral ruffled Erdem Pre-Fall 2016 dress that has draped cold shoulders . 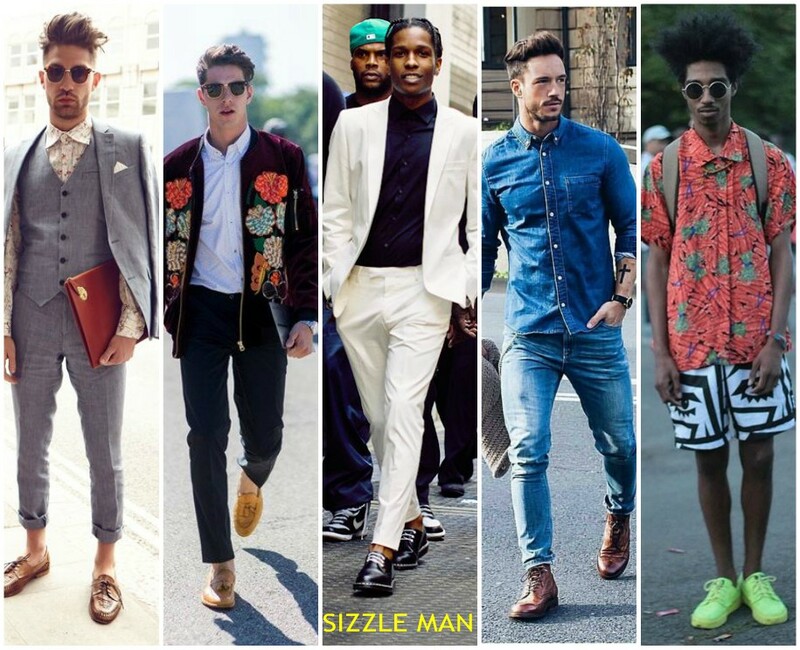 FASHION SIZZLER A person with GREAT Fashion Sense and Style. 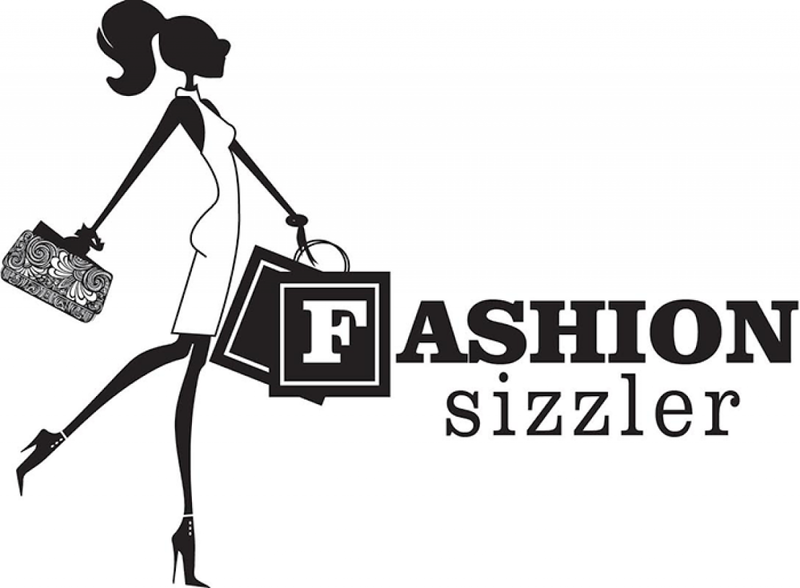 They sizzle in Fashion!